If you have heard of The Stork and the Beanstalk, then you know this baby blog has been ranked as one of the top baby blogs out there! We met Ashley when she stumbled upon our first flea market booth back in 2012. It was vintage love at first sight! ;P She has been one of our number one supporters from the start of our journey and we are so thrilled to be joining her on her journey with her new children’s line, The Bee & the Fox. Here’s an added bonus! 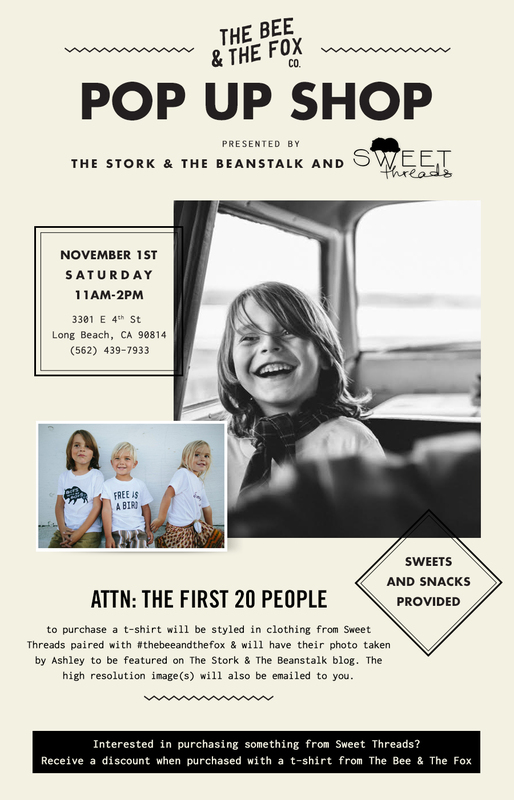 Your child will also be styled in Sweet Threads one-of-a-kind vintage pieces for the photo and if you’re also interested in purchasing any additional items from Sweet Threads, you will receive a discount. The Stork and the Beanstalk will be emailing you the high resolution image (s) of your child. Here’s the details! 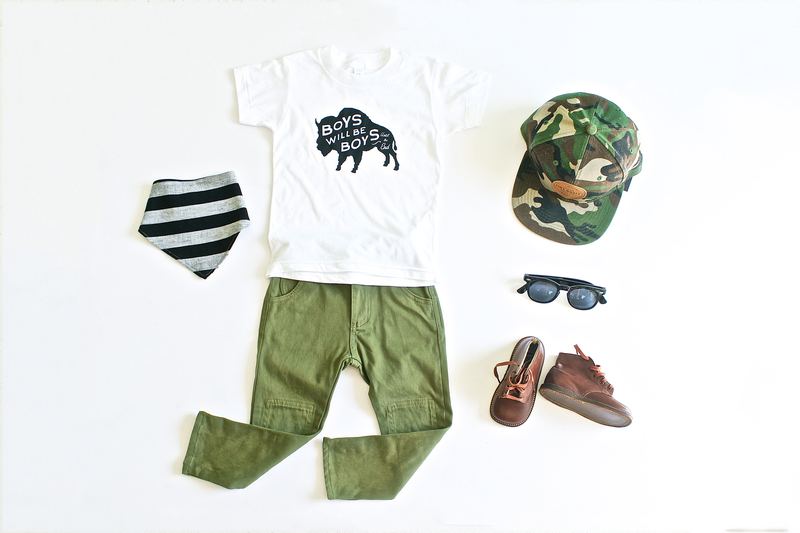 Check out the many ways to style The Bee & the Fox tees designed by wife & hubby team, Willy and Ashley from The Stork and the Beanstalk. 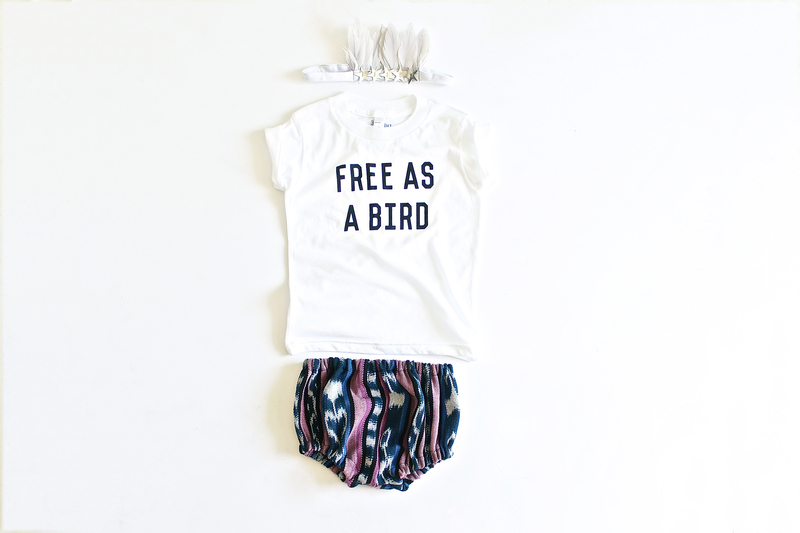 All other items styled with tees will be available at Sweet Threads.